At TransitScreen, we’re always looking for ways to make transportation information more easily accessible. A public screen in the right location, like a lobby exit, is the most powerful way to inform people, but we know people sometimes want information in other locations too. Today's blogpost is brought to you by TransitScreen's summer intern, Mac Bassett, a rising sophomore at George Washington University majoring in business administration. A recent study out of Rutgers University dealt with the effect that past behavior has on current transit habits. It found that the effect was significant — even if people later moved to neighborhoods with less access to transit, they were still more likely to take it if they had done so in the past. In college at Harvard, I was a computer science (CS) major. 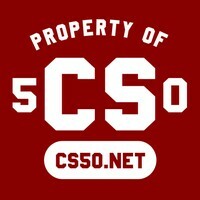 At the time, CS was a fairly sleepy field of study, with only 50 majors each year. CS50, the rigorous introductory course to my field, had 200 students. Not many compared to the college’s largest course, an easy intro to Biblical criticism that drew 1000 students.